Since the last update, the subtitle doesn't appears in Webapp (tested in Safari 12, Firefox, and Chrome), ok in iOS app. Hi, can you please discuss an example? Yes I'm here for that, what do you need ? Can you provide some discussion of an example? thanks. Hi, can you attach directly to the forum? I've never heard of that website before and I'm not sure it is safe to click those links. Thanks. Hi, can you try the external subtitles? Thanks ! So the external subtitles worked? Nobody else have this trouble ? External sub ok but nothing else. What's happening is web browsers do not support embedded subtitles, therefore the server is extracting the subtitles on the fly and sending them to the browser as text. However in your case, the extraction is taking so long on your system that you're never seeing the subtitles. 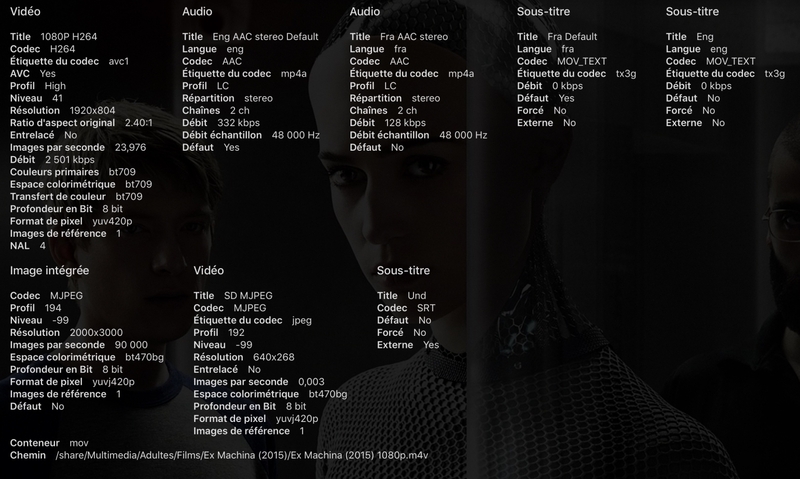 Try external .srt subtitles, I think you will have a much better experience with those. Thanks. I have the same problem with embedded subtitles. I think is has to do with the m4v extension. I have only this problem on web app, other devices works fine. It's because other devices support the embedded subtitles natively without extraction. Web browsers do not support that, so we extract on the fly. But it looks like on your server the extraction is just too slow. We will continue to explore more possible techniques. Thanks. Since the last server update, no more trouble !